Tim Whidden -- web developer, artist etc. 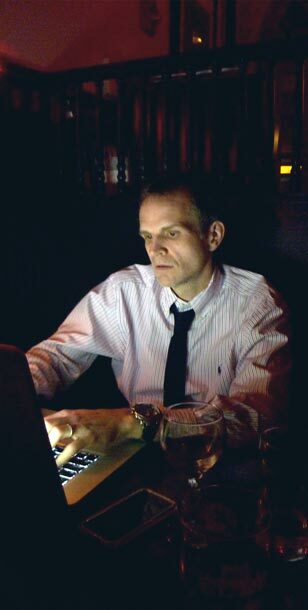 Tim Whidden web developer, artist &c.
Currently, I'm VP, Engineering at 1stdibs. I've worked as an engineering director, senior developer and visual/UX designer during my >15-year career on the web. I've spent the majority of my professional life conceiving, developing and designing web sites, online experiences and internet applications. My experience has been in e-commerce, ad-tech, on-line video and media. More on my professional experience in my resume ( pdf or plain text) and on LinkedIn. Since 1996 I've collaborated with Michael Sarff as MTAA (M.River & T.Whid Art Associates). MTAA's work has been shown at The New Museum, MoMA PS1, The Whitney Museum of American Art, Postmasters Gallery and Artists Space, all in NYC; the 2010 01SJ Biennial in San Jose, CA; The Getty Center in Los Angeles and the San Francisco Museum of Modern Art. Selected commissions and grants include awards from the Creative Capital Foundation, the Experimental Media & Performing Arts Center of Rensselaer Polytechnic Institute, Rhizome.org, Eyebeam art & technology center and New Radio & Performing Arts, Inc..
photo: That's me at MTAA's beer studio in January 2010. Credit: M.River. This page uses jQuery, Blueprint, the Twitter API and is valid HTML5.